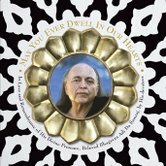 A deeply moving, sacred, contemplative CD that celebrates Adi Da's Life of Love and Blessing. This tribute to Adi Da Samraj includes music from many different genres, ranging from Indian classical to jazz to world music and other contemporary styles. With over two hours of devotional songs filling this double CD, you can listen to pieces composed and performed by many well-known artists such as Naamleela Free Jones, Tamarind Free Jones, Ray Lynch, John Wubbenhorst, John Mackay, Sally Howe, Crane Kirkbride, Antonina Randazzo, Katya Grineva and many others. Some of the twenty-five pieces in May You Ever Dwell In Our Hearts were written and offered in the days that followed after His Passing on November 27th, 2008, or in the yearlong period of formal mourning that followed. Other songs were offered to Him in person during His Lifetime. It also contains new songs never released before by Naamleela, Tamarind, and other musicians.